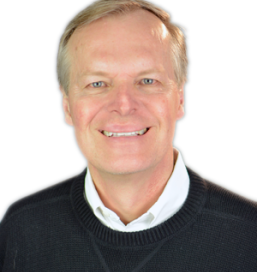 Dr. Greder is a sought after speaker, trainer and consultant in innovation and product development. His start-up company Awear Technologies won a 2014 Tekne award as an outstanding innovator in the field of education. Awear is developing a wearable to help train kids to improve attention and distraction control that leads to accelerated learning outcomes. They are working with the University of Minnesota, NIH, NSF and Department of Education. Rod holds a Ph.D. in genetics and had a successful career with Fortune 100 companies in Ag managing marketing, product development and international technology licensing. He’s traveled to 25 countries and worked with 30+ companies to help them grow strategically using techniques to drive disruption innovation. His passions are education, agriculture and brain science and ‘most anything new and shiny’. He raises grass-fed beef, lamb and goat near Pine City, MN in his spare time. His presentation at the May 7th meeting will focus on how we can see the world as it is and not as we are. We need to recognize our built-in biases that prevent us from seeing opportunities. Connecting the dots is a key to innovation but we can’t connect what we don’t have. ‘Collecting’ the dots by increasing our awareness and exposing ourselves to new experiences and ideas must occur first.